Ford. Chrysler. General Motors. They were the Big Three, accused by critics of greed, monopoly, and abusing the public trust. In the shadows of these towering giants is American Motors, blazing its own path to greatness. Adam Trenton, the fiercely ambitious executive in charge of project development, wants to take the company into the future with the new, cutting-edge car he’s developing, but his single-minded dedication has his neglected wife seeking dangerous thrills, making Adam vulnerable to a growing web of deceit, blackmail, and organized crime. From Detroit’s inner city to its affluent suburbs, from the executive suites and secret design studios to the assembly line jungle and the maximum security testing grounds, *Wheels *is a breakneck ride full of human drama through one of America’s most complex and competitive industries. 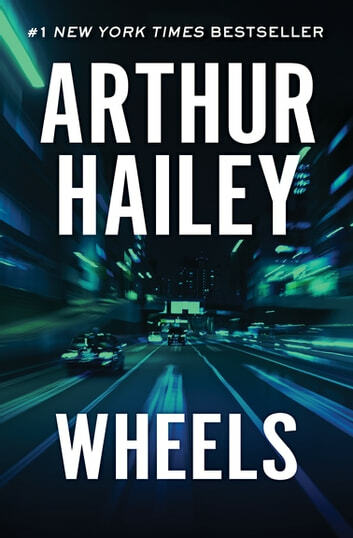 This is another worthwhile read by Arthur Hailey.....highly recommended and a must for anyone who has an interest in the automotive industry.